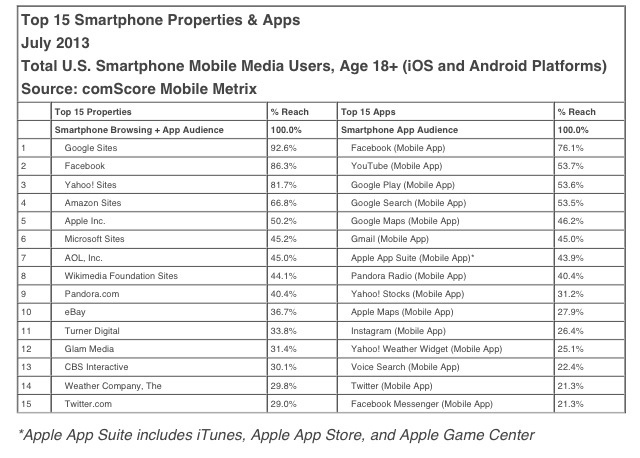 Topped ranked mobile properties and apps per ComScore. I am still baffled by the perception of weak services. Especially since Apple's services are on one OS. With the release of iOS 7, improvements to Maps and positive chatter on iRadio the perception should change.